At Native Pest Management we take great pride in helping homeowners and business owners in the Delray Beach area keep their properties pest-free. Our pest management treatments utilize integrated pest management strategies and use pet-friendly and eco-friendly products. f your home or business in the Delray Beach area has been infested, or even if you suspect that it has been infested, we strongly suggest that you get in touch with our pest control services company. Pests likemosquitoes, ants, cockroaches, rodents, bed bugs, termites, whiteflies don’t belong on your property — so don’t let them. Providing pet-friendly pest control in Delray Beach FL. We are owned and operated by third-generation West Palm Beach natives. With over 50 years combined experience, we can solve all of your pest control and exterminator needs. 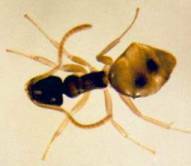 We provide guaranteed control of ants, roaches, spiders, rodents, fleas, ticks, mosquitoes, rats, mice, and whiteflies. We also provide lawn spraying and fertilization. Delray Beach spiders are out of control. We aren’t exaggerating. If you’ve visited any homes West of the Florida Turnpike you understand. The farmland in this area combined with lots of new construction has created the perfect battleground for spiders vs humans. Flying insects are breeding in the nearby farmland and are being attracted to the lights in new communities being built on a nightly basis. That has created an abundant food source around these homes for spiders. 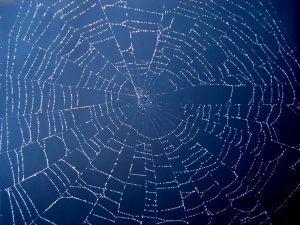 Many homeowners are calling us saying webs have taken over the exterior of their homes and pool screen enclosures. Delray Beach mosquitoes can be bad. Really bad. Many areas that are still undeveloped in the Western portion of Palm Beach County are prime breeding grounds for mosquitoes. 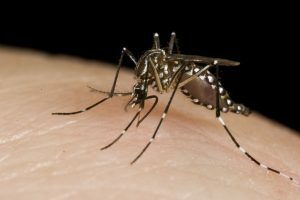 Palm Beach County actually conducts aerial mosquito control in Delray Beach a couple times each year to keep them from getting completely out of control. While these sprays certainly help, they provide no residual control to stop mosquitoes from invading your property. At Native Pest Management, we are mosquito control experts. Our Delray Beach mosquito control includes a monthly backpack fogging of your property to eliminate harborage areas in the landscape. By using a combination of insect growth regulator and micro-encapsulated insecticide, we are able to get longer control with pet-safe products. Every application includes the treatment of standing water on your property with a biological larvicide to prevent breeding. Roof Rats in Delray Beach and throughout South Florida are a major problem. While food is plentiful for them outside, they frequently get into attics of homes in the area since they prove to be ideal nesting locations. The first indication people usually have of a roof rat infestation are scratching sounds in the attic. The easiest way to confirm the presence of roof rats in the attic is to visibly identify their feces which if present will be on top of the insulation and AC ducts in the attic. A proper roof rat extermination program requires trapping and exclusion of all potential exterior entry points. Never use rodent bait within the home, as it will likely result in dead rats causing the home to smell and it will not prevent more rats from entering the home. If there are no roof rats present in the home, we recommend rodent reduction via the installation and maintenance of tamper-proof rodent bait stations on the exterior of the home. Delray Beach is a rapidly growing city in Palm Beach County, just South of Boynton Beach and North of Boca Raton. Spanning from the ocean to West of 441, the total population is approximately 67,000. As various upscale communities are being built along Lyons Road including The Bridges and The Seven Bridges, the population of Delray Beach is soaring. 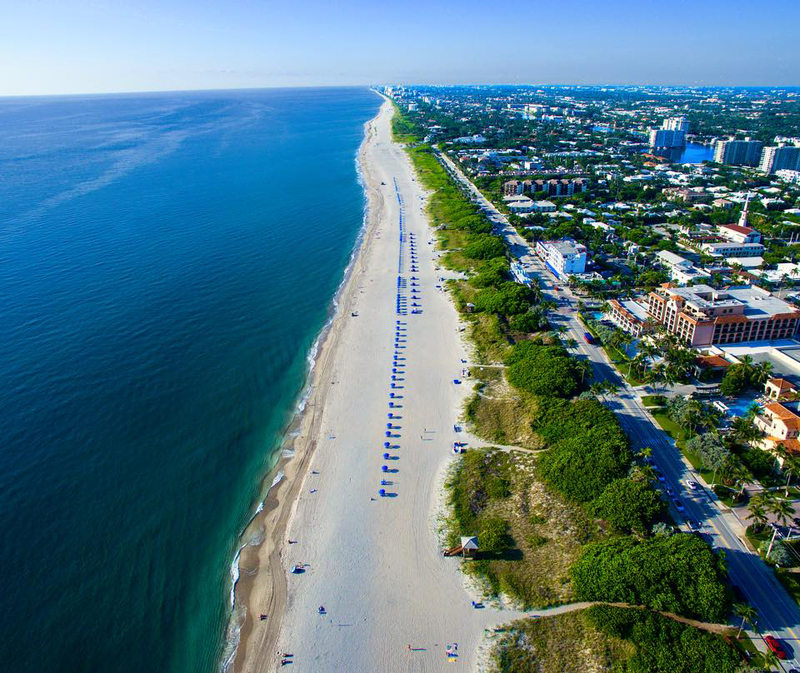 With a vibrant downtown centered around Atlantic Avenue, Delray Beach is a popular destination for many who are moving to South Florida from out of state.